The UNESCO World Heritage Center has accepted the Tentative List for the nomination of the strict natural reserve of the Janj rainforest as part of the expansion of the interstate series of Iskon Beech forests of the Carpathians and other regions of Europe, and this natural good of the Republika Srpska has been placed on the provisional list of BiH. A tentative list is a list of those areas located in the territory of the Member States that are considered relevant for enrollment on the World Heritage List. The Ministry of Physical Planning, Construction and Ecology has been working on the preparation of the necessary documentation for about half a year in order to find the jungle forest on this list, which is registered with the UNESCO World Heritage Center. This is the first step in the process of nominating a natural good for the World Heritage List, after which the Ministry will prepare a nomination document for the inclusion of Janj Forest on the World Natural Heritage List, the final decision being taken by UNESCO. 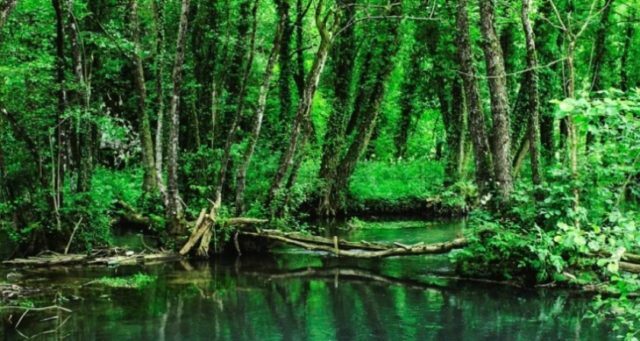 The rainforest of Janj is another natural asset of the Republika Srpska, which was placed on the provisional list of BiH. Two years ago, the Perucica rainforest, which is located in the National Park Sutjeska, was placed on that list.